First Reconciliation and First Communion both now happen in grade two. 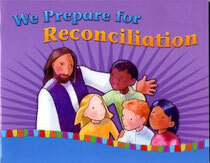 First Reconciliation registration as well as first Communion registration both take place in the fall. Do you want your child to receive First Reconciliation and First Communion? Here’s how! Preparing children for a Catholic sacrament is a group effort that involves parents, St. Vital Catholic Parish, your child's School. Everyone has a role! As a parent, you are the primary teacher of the faith for your child. As you know, the sacraments are celebrated and lived in the parish. Because of this, the preparation for the celebration of the sacraments takes place in the parish. Sacramental preparation registration takes place at the parish, not at the schools. The schools support what takes place in the home and parish and are a place for children to learn about Jesus Christ and develop a relationship with him. As a parish community we are eager to journey with your family during this very special time. Please contact the parish at 780-929-8541 for more information. "We Prepare for Reconciliation," By Francoise Darcy-Berube and Jean-Paul Berube Editors: Gwen Costello an Myrtle Power. Published by Novalis. This will be provided at the parent information night. 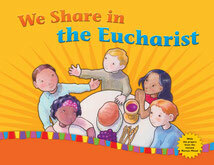 "We Share in the Eucharist," By Francoise Darcy-Berube and Jean-Paul Berube. Editors: Gwen Costello and Myrtle Power. Published by Novalis. This will be provided at the parents information night. Here is a really good examination of conscience your child in grade 2/3 can use. It comes to us from the archdiocese.